I'm all about the lashes. I love the look of long, dark eyelashes, but my natural lashes are very fair, almost transparent. Most days, mascara is the only makeup I wear, and it never fails to make me feel good. If I had to pick one makeup product, mascara would be it. It makes me look awake, my eyes look bigger, you get it, I like lashes. I have recently mastered a little "lash routine" that gives me the look of fake eyelashes without having to apply actual falsies (because let's be honest, who has time for that?). I am so impressed I thought I'd share it with you, including a before/after close up picture of my no-makeup face. You're welcome. 1. I first curl my lashes with the Shu Uemura eyelash curler. 2. I then apply a light coat of Benefit They're Real mascara on the top of my top lashes, then do the bottom side, as you would normally apply your mascara. 3. 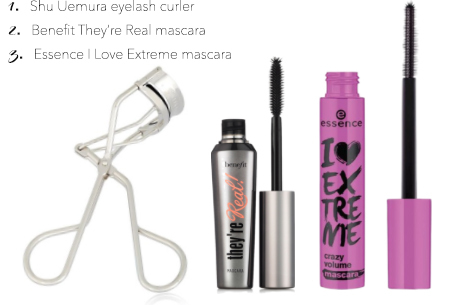 I then go in with the Essence I Love Extreme mascara, and comb through any clumps with another coat of the Benefit mascara. What is the one makeup product that makes you feel instantly better? Incredible! 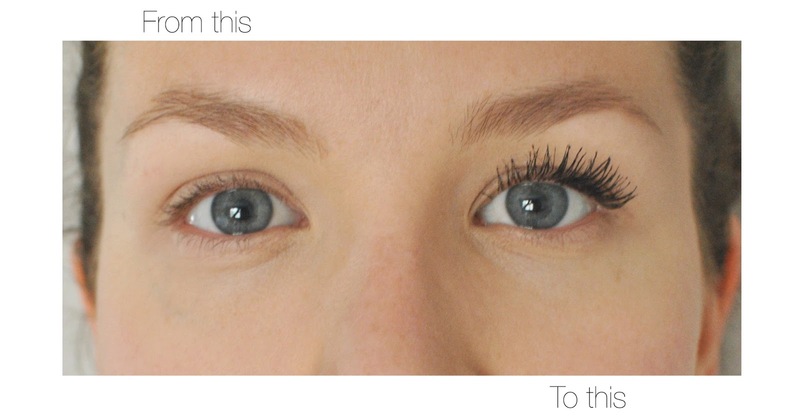 I have to try this "lash routine". Oooh I need to check it out! Thank you!